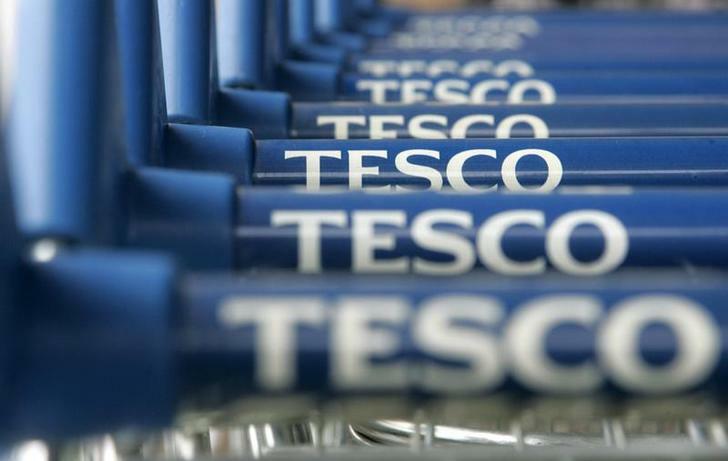 Tesco’s South Korean unit stacks up for a buyout. Reuters says Britain’s biggest grocer has hired HSBC to help it sell its Homeplus business for some $6 billion. A disposal would do much to fix the British grocer’s strained balance sheet. Tesco might not miss the Korean earnings that much either. Private equity heavyweights including Carlyle, CVC, and TPG are likely suitors. Homeplus occupies a strong position in one of Asia’s richest markets, as the second-largest of three major food retailers. The potential to generate cash from property may be a draw: Homeplus owns many of its own stores and adjacent malls, and has already concluded two sale-and-leasebacks. KKR’s lucrative stint owning Oriental Brewery showed the Korean consumer can be a goldmine. That doesn’t mean Tesco can expect to get a huge price. In February Morgan Stanley analysts pencilled in 3.8 to 5 billion pounds ($5.8 to $7.6 billion) for Homeplus – roughly 7 to 8.5 times this year’s EBITDA plus a 15 to 25 percent “control premium”. The lower end seems more likely. That’s partly because Homeplus has headaches that will be eerily familiar in Tesco head office. There is a political and consumer backlash against big-box stores. A longstanding boss – founder Lee Seung-han – has recently left the business. And margins have fallen: earnings before interest and tax will be 5.4 percent of sales this year, Morgan Stanley reckons, down from 8.2 percent in 2012. Moreover, the political heat around the sector may deter the trade buyers who could afford to pay most for Homeplus, direct rivals Lotte Shopping and E-Mart. Foreign shopkeepers are unlikely buyers too. Both Wal-Mart and Carrefour have already left Korea. Maybe another of Korea’s powerful “chaebol” conglomerates could step in, despite lacking synergies: the department-store owning Hyundai, perhaps. All that said, Homeplus presents a rare opportunity for private equity in Asia. Real control of multi-billion-dollar businesses seldom comes up for grabs. Tesco, which has junk-rated debt, also has a strong motive to sell. A line of Tesco trolleys stand outside a store in London. Tesco, Britain’s biggest retailer, has hired HSBC to explore a sale of its South Korean operations, valued at about $6 billion, Reuters reported on June 4, citing people familiar with the matter. Tesco and HSBC declined to comment. The Homeplus division has attracted several bid enquiries in the past, which has encouraged Tesco to explore a formal sale process, the sources told Reuters. They added that global buyout firms KKR & Co, Carlyle Group, CVC Partners and TPG Capital Management as well as Asian buyout firms including MBK Partners were likely bidders for the business.